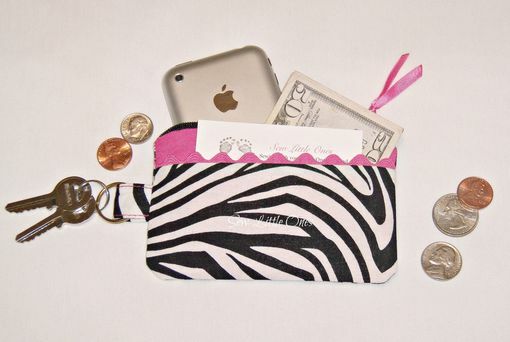 This listing is for one handmade Personalize Hot Pink & Zebra Print Small Coin Purse. Measures 3"x5" fits perfect in the palm of the hands. 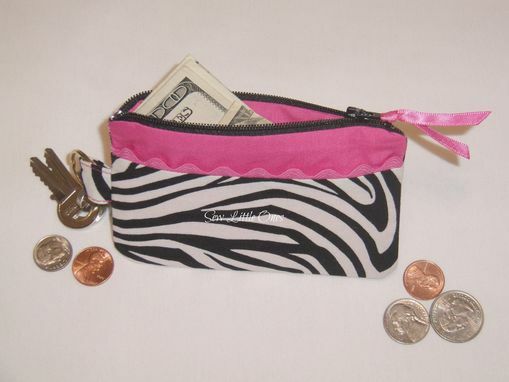 The right size for coins, dollar bills, lip gloss, credit cards etc... Try tossing in a slim line phone as well. Please note: Contents pictured are for display purposes only. 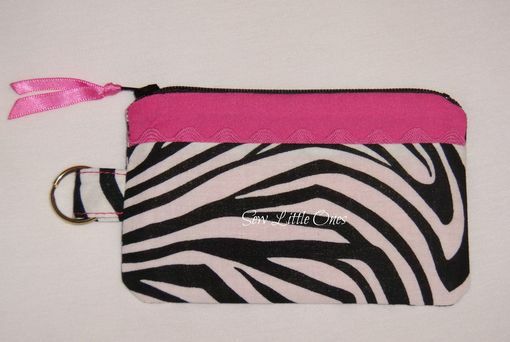 It will make a great gift for yourself or someone so special. 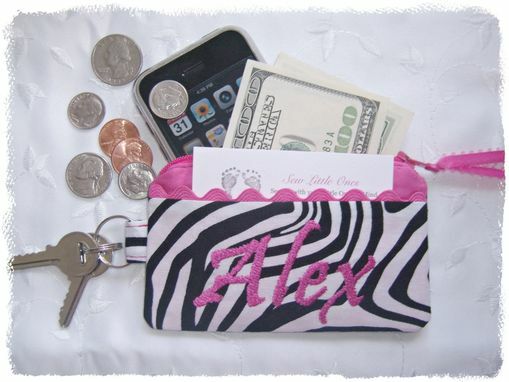 Don't forget to include name to embroidered in note to seller.